Ashanti Lodge Gardens v Kapské Město, Jižní Afrika: Zarezervujte nyní! 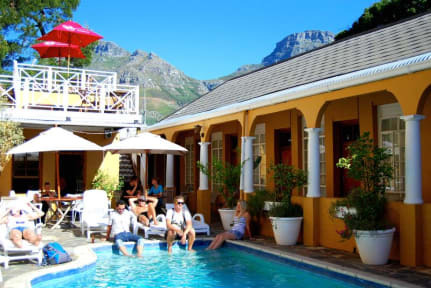 Located at the foot of Table Mountain, Ashanti Lodge and Travel Centre is your gateway to Cape Town. Well-known for our superb facilities, outstanding service and excellent security, Ashanti Lodge is the fun, friendly, effortless way to discover the Cape ... and more! 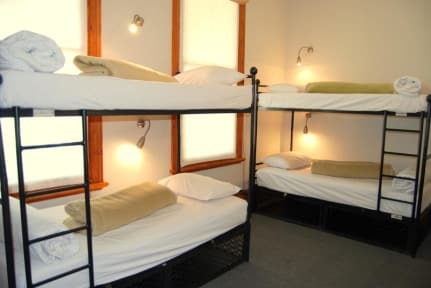 Within walking distance of the city centre and close to Cape Town's magnificent beaches, we cater for all accommodation needs from camping and backpacker dorms to private, en-suite rooms in our guesthouse around the corner. We've recently refurbished our gorgeous Victorian mansion, so as well as clean, comfortable rooms you'll also find a number of handy innovations like individual reading lights, personal safes, charging points and international plug points. Chill out next to our sparkling pool, in our landscaped gardens or on any of our spacious balconies and palm-fringed sundecks - or join the party in our legendary Kumasi Bar with its cool cocktails and fabulous mountain views. Our giant TV shows all the major sporting events or set up your own match over our pool table. You can also get delicious meals in our bar, or you can cater for yourself in our well-equipped communal kitchen. This is where you can get your free basic backpacker breakfast as well.